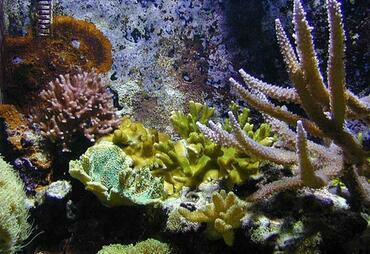 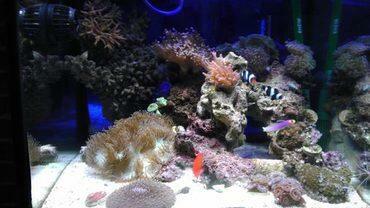 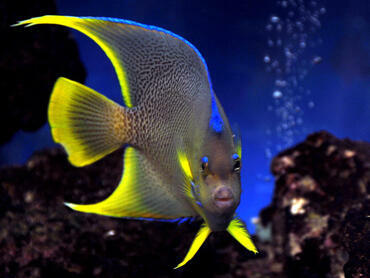 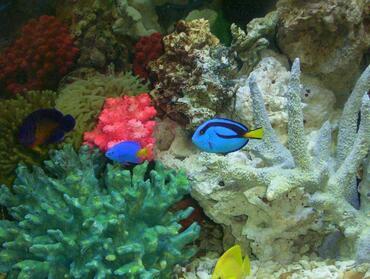 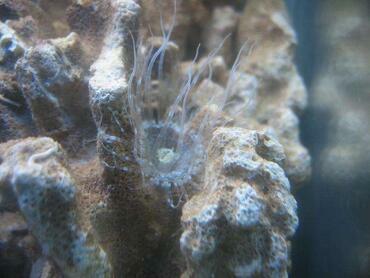 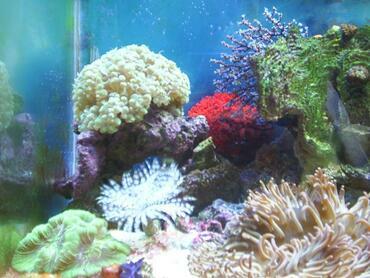 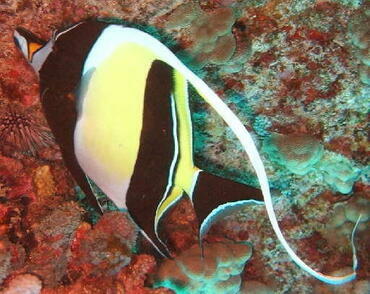 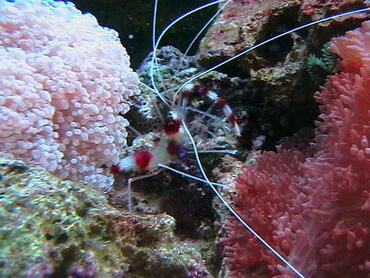 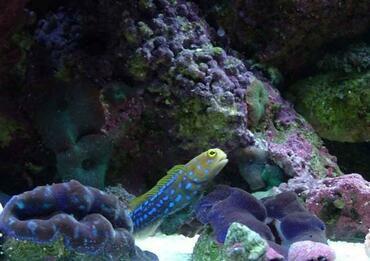 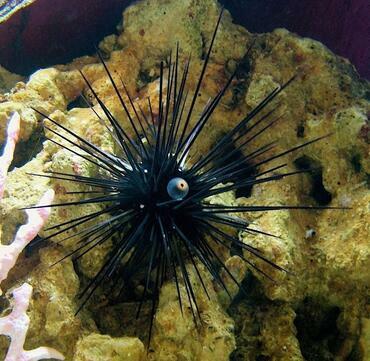 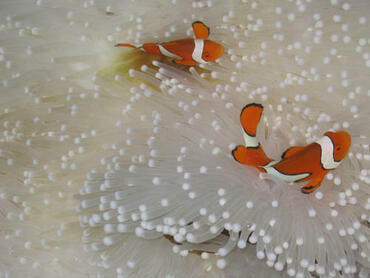 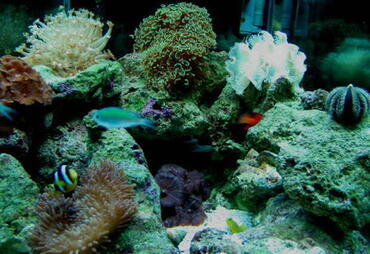 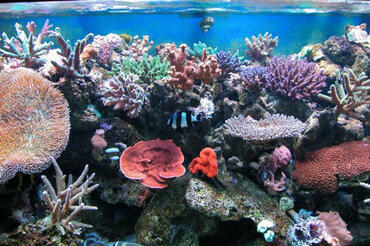 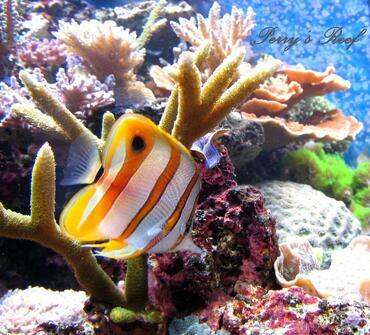 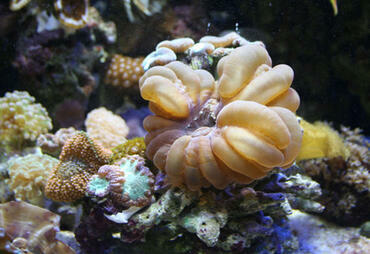 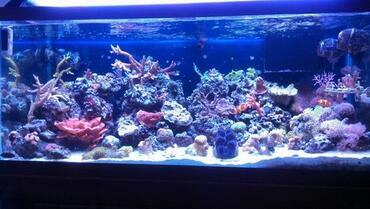 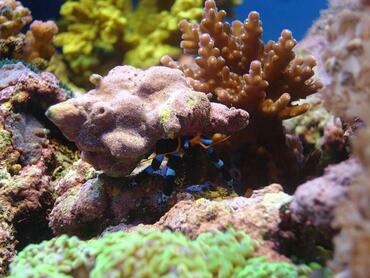 Though many saltwater fish diseases are treatable, the best option is to prevent your fish from becoming sick at all. 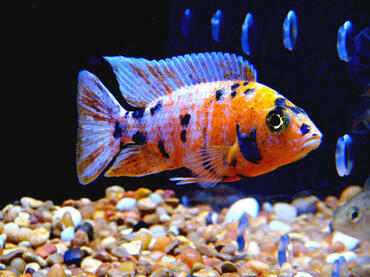 There is nothing quite so heartbreaking as losing one of your fish to disease. 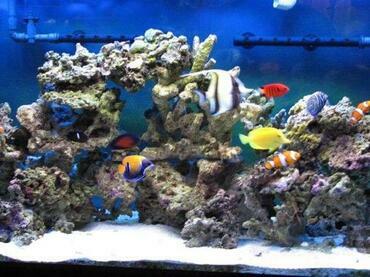 To avoid experiencing this yourself, and to ensure a healthy and happy saltwater tank environment, learn a few tips on how to prevent saltwater aquarium fish diseases. 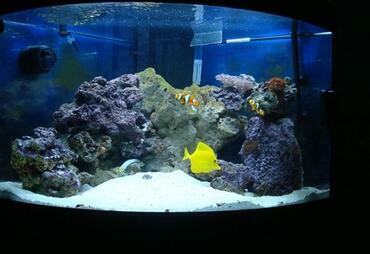 Not only are saltwater aquarium fish expensive, but you become attached to them after spending hours setting up the tank and tending to them on a daily basis. 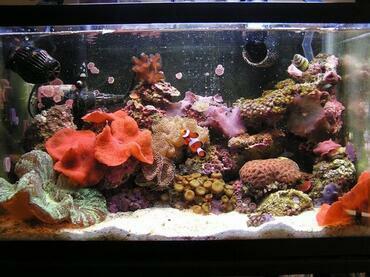 With all that you’ve invested in your saltwater tank, don’t you want to be sure that your fish live long, healthy lives? 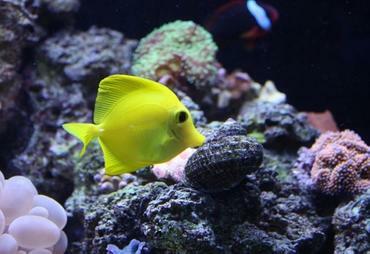 While there is nothing you can do to guarantee that your fish will never fall ill, there are several steps you can take to help prevent saltwater aquarium fish diseases. 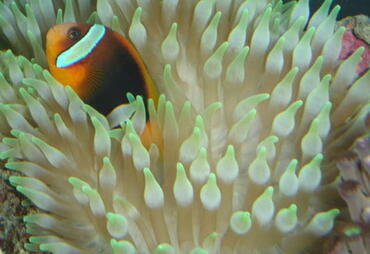 The first step in preventing saltwater fish disease from affecting your fish is to prevent it from ever entering your tank. Even if the new fish you bring home from the pet store look healthy, they could still be carriers of some kind of disease. 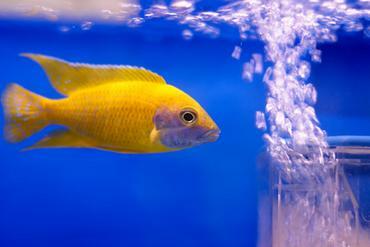 To prevent the fish in your established tank from falling ill, it is important that you quarantine all new fish for at least two weeks before adding them to your main tank. 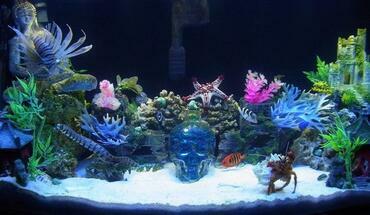 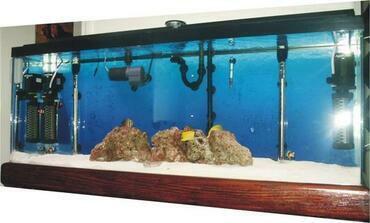 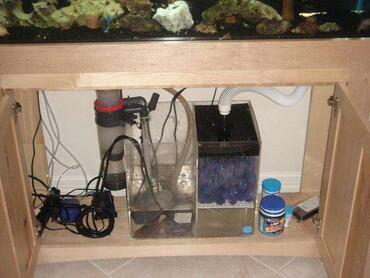 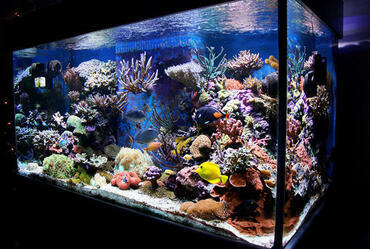 The best way to do this is to keep an extra tank set up as a quarantine tank. 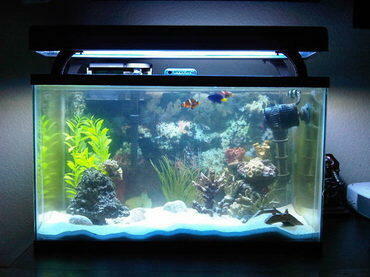 This tank should be maintained at the same temperature and using the same water parameters as your main tank, but it doesn’t need to be as large. 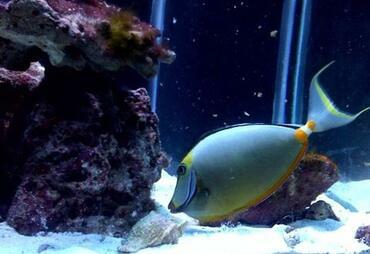 Simply introduce your new fish to the quarantine tank after you bring them home then monitor them over the next two weeks. 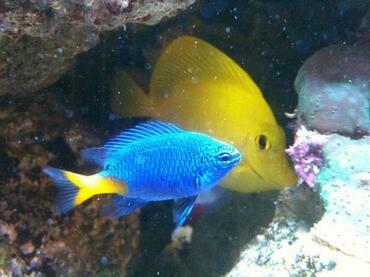 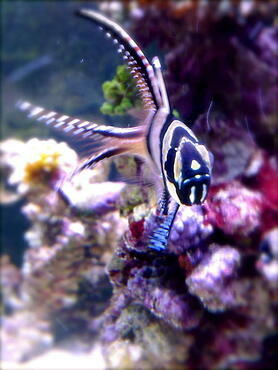 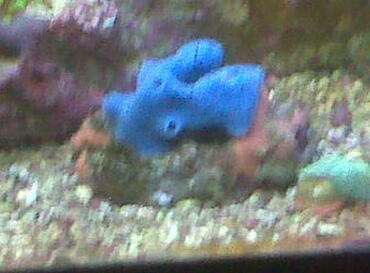 If, after two weeks, the fish still appear to be healthy you can safely add them to your main tank. 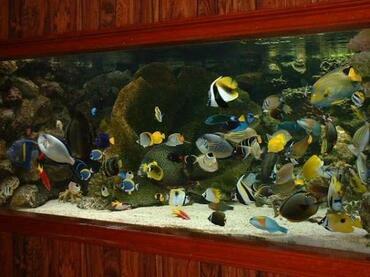 If you begin to notice signs of illness, however, you should keep the fish in quarantine until they have been treated and cured of illness. 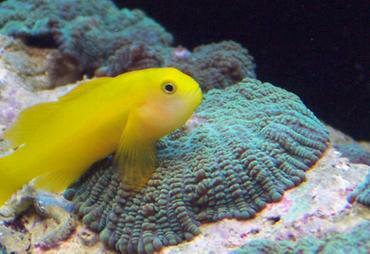 You may be surprised that reducing stress is an important step in preventing fish diseases because stress in and of itself does not cause disease. 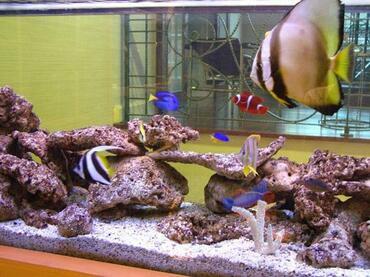 While stress may not cause disease in fish, it is certainly a contributing factor. The more stressed your fish are, the more likely they are to fall ill when exposed to pathogenic bacteria. 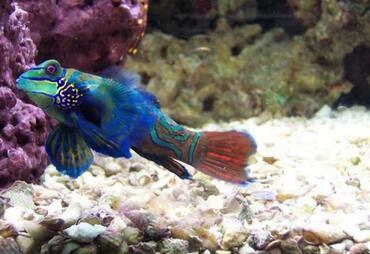 If your fish are happy, they are also more likely to be healthy. 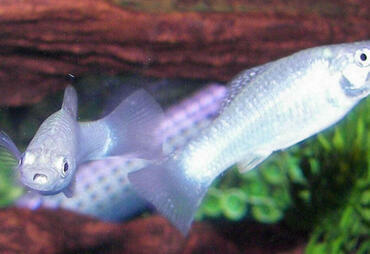 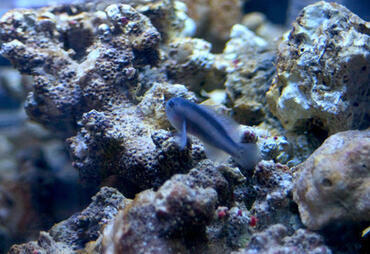 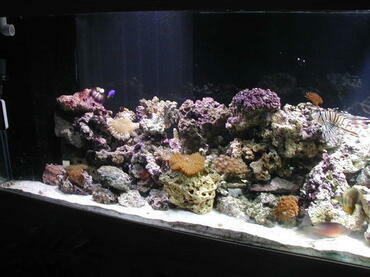 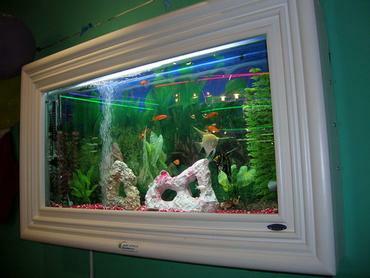 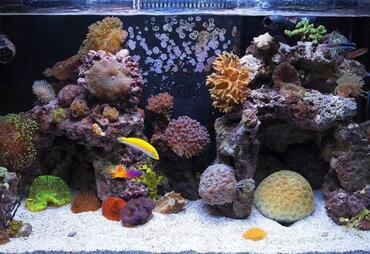 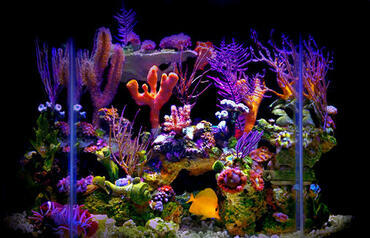 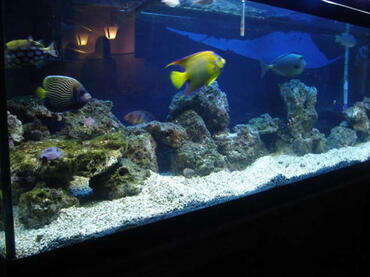 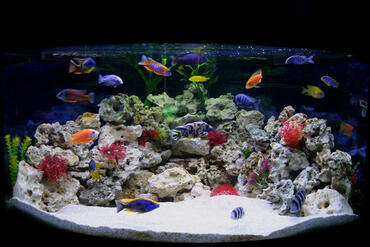 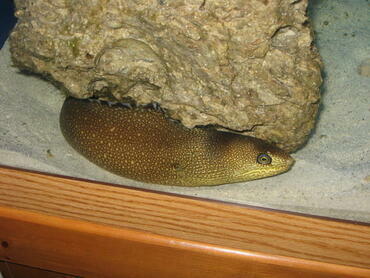 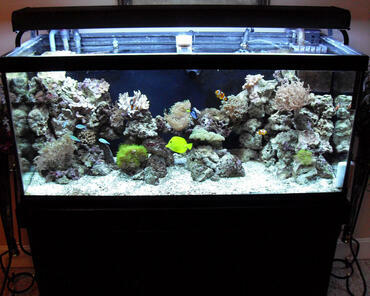 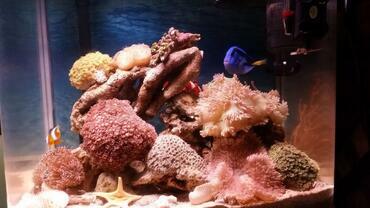 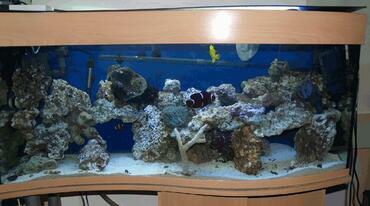 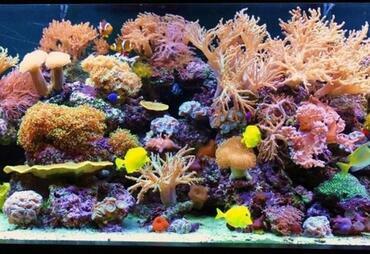 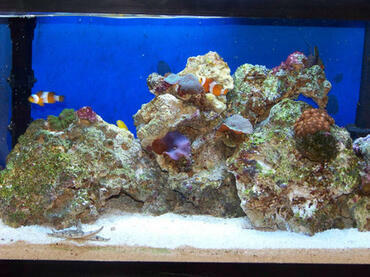 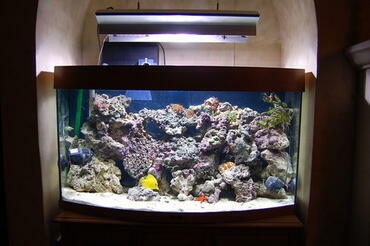 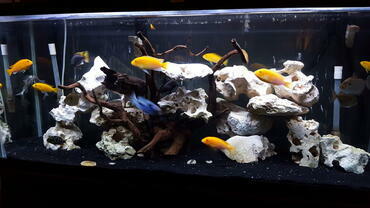 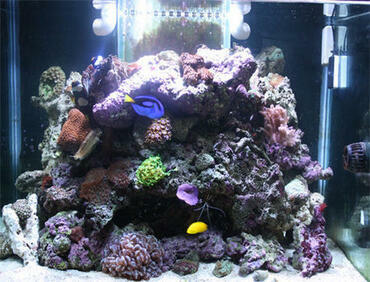 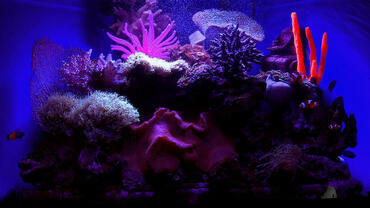 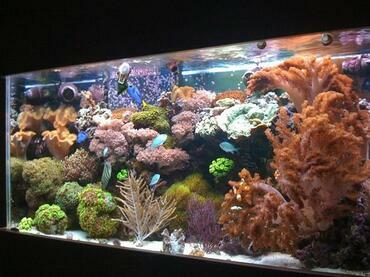 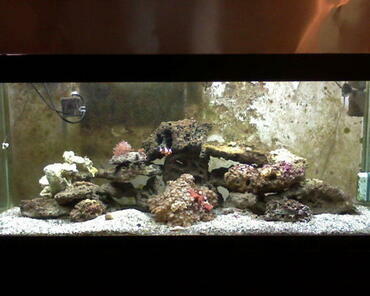 One way to reduce stress is to ensure that all of the fish in your tank get along. 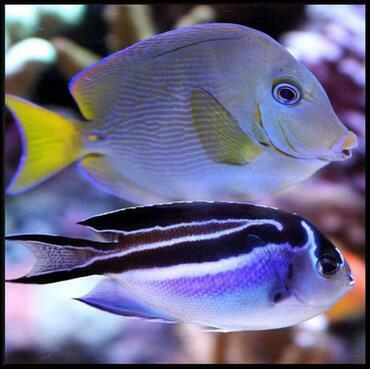 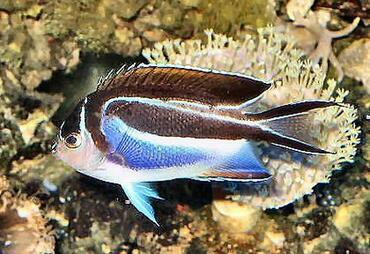 Research saltwater tropical fish compatibility to be sure that the species of fish you are keeping in your tank are compatible. 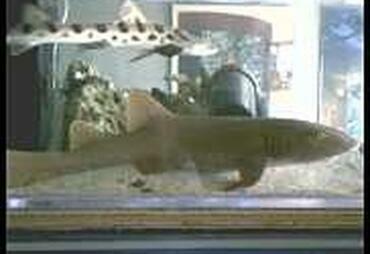 It is generally unwise to keep more than on male of the same species in the same tank and large, aggressive species should not be mixed with small, placid ones. 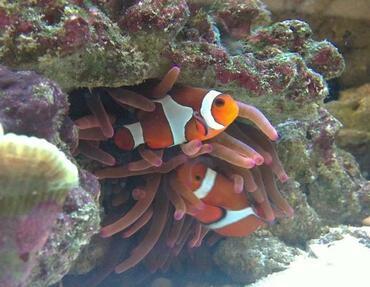 Providing your fish with adequate shelter is another key factor in reducing stress – if you fish feel threatened, they should have a place in the tank to retreat to. 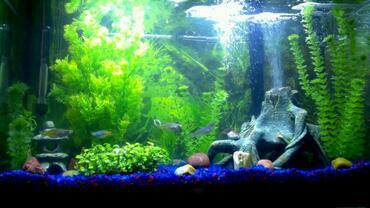 Water quality is incredibly important in preventing fish disease because not only will the overall health of your fish decline along with your water quality, but your tank will become a more favorable environment for pathogens. Water quality and stress go hand in hand when it comes to preventing saltwater fish disease because the lower the water quality in your tank gets, the more stressed your fish become and the more susceptible they are to disease. 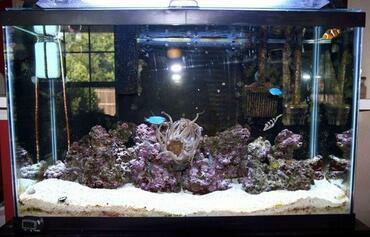 By performing routine water changes, checking your water chemistry and avoiding over-feeding, you can easily keep the water quality in your tank high. 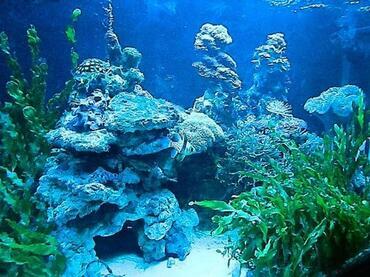 It is also important to monitor things like water temperature, salinity and ammonia levels – if any of these parameters changes too drastically it could have harm your fish. 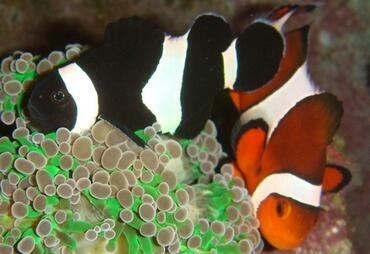 It may sound silly but the healthier your fish are, the less likely they are to become sick. 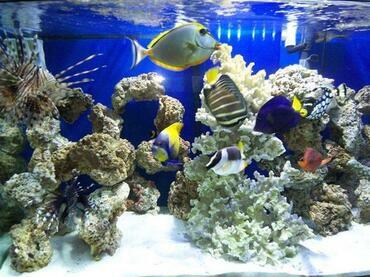 In addition to keeping your tank environment healthy, you also need to ensure that your fish receive all the nutrients they need to maintain healthy bodies. 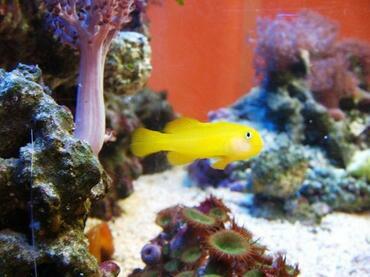 Though high-quality commercial foods are designed to supply your fish with the majority of their nutritional requirements, you should be sure to feed your fish a varied diet of commercial, live, frozen and freeze-dried foods. 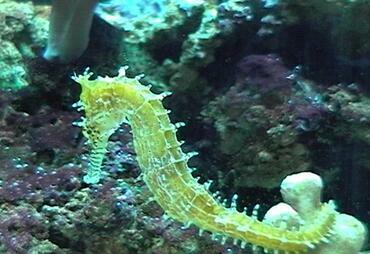 Live and frozen foods will help to fill in some of the nutritional gaps left by freeze-dried and commercial foods while high-quality commercial foods will provide your fish with all of their basic nutritional needs. 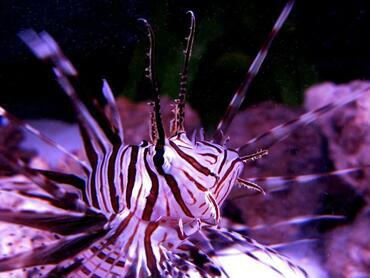 Certain species of fish have different nutritional needs so be sure you are aware whether the fish in your tank are carnivorous, herbivorous or omnivorous so you can provide for their specific nutritional needs. 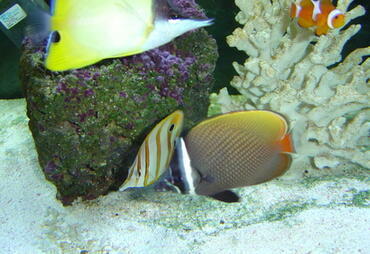 If you are able to maintain a safe and healthy tank environment for your saltwater fish, you should not have any trouble with saltwater fish diseases. 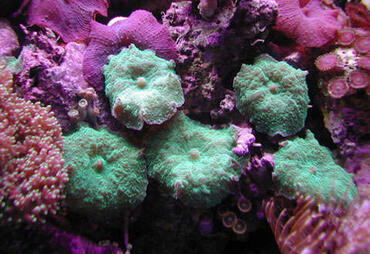 Illness is a fact of life, however, so you cannot completely prevent it from happening. 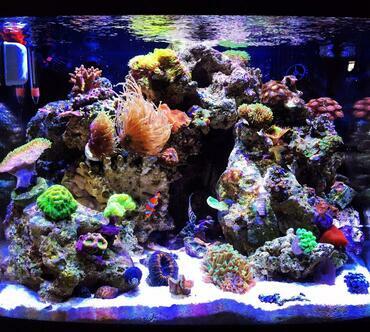 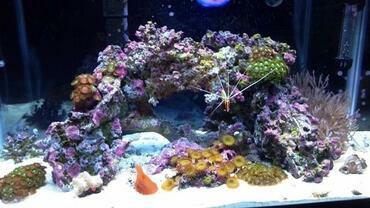 What you can do is make sure that your saltwater tank environment is as close to perfect as possible and that your fish have all the nutrients they need to stay healthy. 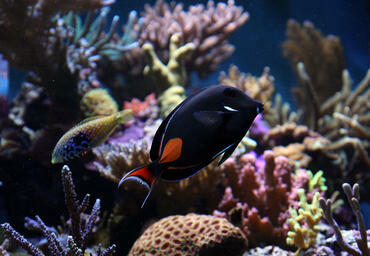 After all, healthy and happy fish are less likely to fall ill when exposed to disease.